That the event might just have to be cancelled, was more than a remote possibility. We had recently hosted a workshop in late May, thus, taking on the Annual Seminar so soon in August, seemed rather daunting. Unfazed by the predictable challenges, the team, unsparing in their determination, pressed on regardless. Getting the theme right is essential, in any seminar of this scale. Since it would dictate the tone and flow of the discussion. It is also an essential selling point for securing the participation of suitable speakers and panellists. For us, the theme underpinned our aim of reaching out to a much wider audience. We were thrilled when the Chairman of the Charity Council, Dr Gerard Ee, agreed to grace the event as its Guest-of-Honour (GOH) and deliver the Opening Remarks. The next vital cog fell neatly in place, when the President, Founder & CEO of the Securities Investors Association of Singapore (SIAS), Mr David Gerald, agreed to deliver the Keynote Speech. Soon after we secured the agreement of two leading practitioners, David Chew & Dennis Lee, from Deloitte & RSM respectively, to moderate a panel discussion each. The hunt for panellists required more time, patience and effort. Notwithstanding the challenges, we soon assembled a formidable team of experts. Technically speaking, we had reached a point, where the event was now good to go. RSVPs were flying in thick and fast and we soon reached more than the requisite number our purpose-built venue was permitted to accommodate. A balanced representation of personnel from the various charity sectors, gathered to hear from the experts that morning. 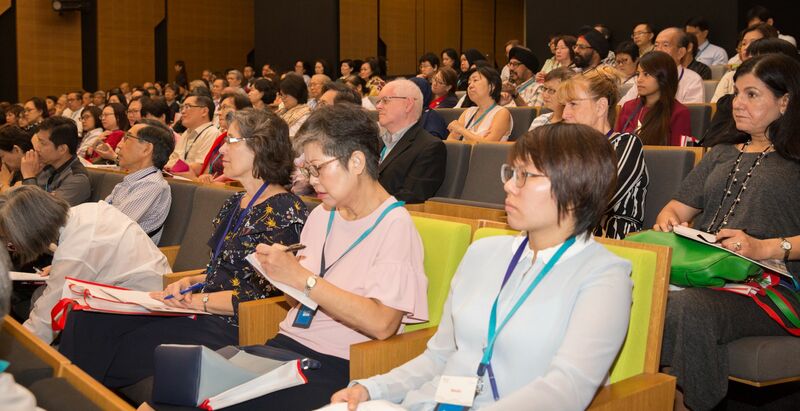 Thus, in his welcome address, our Chairman, Mr Gan Seow Ann, acknowledged their presence and he went on to implore them to pick their minds by actively participating in the seminar proceedings. The two panels elaborated on the efficacy of internal audits and how governance contributes to sustainability & growth of the charity sector. Their discourse generated a vigorous audience participation, fielding both verbal as well as written questions from the floor. The event appropriately closed with a Networking Lunch, allowing the discussion to continue, while old friendships were renewed and new ones forged. From a 5-pont rating system, 30% of our participants rated the seminar Excellent while 56% rated it Good.  Should you wish to know more about the services Shared Services for Charities provide in regard Governance, Risk Management and Internal Controls, and How It Can Add Value To Your Organisation,please contact maurice_phillips@sscharities.com or call 6339 2811 to arrange a chat at your office or ours. A very good morning to all of you. I am honoured to be invited to the Shared Services for Charities Annual Seminar 2018. In recent years, we see many seminars and sharing sessions focusing on the topic of good governance. 2 And good governance definitely deserves our attention and prioritisation as we are accountable to the public, our donors and beneficiaries. The refined Code of Governance for Charities and IPCs was launched in April 2017. The refinements provide greater clarity and relevance about good governance. It will take effect from financial years after 1 st January 2018. 3 Today’s session focuses on building up a charity’s internal controls and the management of risk. We have with us distinguished members that will be sharing common issues faced by charities during the two panel discussions later on. Take the opportunity to learn, and feel free to raise any concerns. I believe today’s session will be an enriching and educational one for all of us. 4 Good governance has an impact on your charity’s operations and the quality of services you provide to beneficiaries. It affects every aspect of your line of work, from leadership, fundraising practices to management of staff. The importance of good governance should not be undermined. It builds up your internal controls, manages the risk your charity is exposed to and provides accountability to your stakeholders. Charities can start with simple steps such as having documented procedures for financial matters in key risk areas such as procurement and payments. It is also important to identify and regularly review the charity’s key risks to ensure that appropriate measures can be taken to mitigate them, and to be accountable to the public. 5 There are many aspects to good governance and I agree it is not an easy feat to achieve. We are also aware that small charities especially, need more guidance and resources. Be assured that we are constantly working towards building a strong support system to serve and assist you. 6 Some existing resources include available toolkits and guides on our Charity Portal and Charity Council website. You may also check out our Calendar of Events and attend training sessions such as the Charity Governance Conference, which would be held on 27 Sep, and seminars to gain knowledge and new perspectives. If you are interested to send your staff for training or to engage consultancy services, you can also tap on our VWO-Charities Capabilities Fund. Take advantage of existing resources and support available to lead your charity towards good governance. 7 The Code of Governance does not only impact your charity; it impacts public’s confidence on your charity. A well governed charity builds and earns public’s trust. It assures beneficiaries, donors and stakeholders that every donor is efficiently utilised and well accounted for. Increasingly, donors want to be well informed of where their monies go. 8 Being well governed and accountable garners stronger public support and sets your charity apart from the rest. This translates beyond donations, but other aspects such as recruiting volunteers, building your charity’s reputation or becoming an attractive workplace for aspiring staff. Once again, we should not undermine the importance and impact of good governance. 9 I would like to thank Shared Services for Charities for organising this session. I am also encouraged by the many speakers that have come forward to join us today, benefitting charities with their insights and experience. Let’s all look forward to the upcoming sharing and panel discussions. Thank you for being here with us today. I am very honoured and privileged to be given this opportunity to speak at the Shared Services for Charities 2018 Annual Seminar – Governance, Risk Management & Internal Controls – Adding Value To The Organisation. I congratulate SSC for organising this seminar and for the good work it is doing to improve governance standards and practices in charities. It is usually more common for me to be commenting on corporate governance issues in listed companies rather than charities. But I guess, as all organisations, there are commonalities and I will share my thoughts this morning. As an investor body and promoter of good investing habits, SIAS advocates good corporate governance practices and high levels of transparency among our listed companies. Investors, before parting with their hard earned money, first evaluate the level of governance in the company in which they invest , as they consider it as a main tenet for investing. Do donors also do this? Investors in listed companies have the AGMs to go to and ask questions to seek accountability. SIAS helps investors by analysing the annual reports of companies and posing questions in areas of business strategy, financial performance and corporate governance. We do this for shareholders and stakeholders, so that there is a higher quality of discussion at company meetings, greater accountability and transparency. SIAS in recent years has also taken on the responsibility of updating charities of improving governance by organising the Charity Governance Conference, which this year will be held on 27 September. I am sure you will all be there. I am aware that some charities and non-profit organisations do struggle each year to put together their annual reports and AGMs because of insufficient or member apathy. Not surprisingly, I have heard comments from donors, who feel that since their contribution is going to a good cause, they often just leave the organisation to use the monies as they deem fit. But that has not always been true. Given the high profile scandals involving some prominent religious organisations in the recent past, I would very much like to see donors and stakeholders seeking accountability of the monies raised by a charity. Generally I observe that donors have been passive in monitoring the use of donations. Donors should routinely check how their donations are used, especially the corporate donors who have the means to do so. Are the donations channelled to the cause campaigned for? Donors should satisfy themselves on whether the charity they are supporting is in fact transparent. But then this should be the paramount concern of the charity in the first place when seeking donations. Unlike investing in a company, where investors track the performance and returns closely, donors don’t usually put that requirement on charities. Unlike in companies, donors trust first. Many feel guilty if they do not support a charitable cause. Therefore, to ensure that charities continue to keep the trust of donors and supporters, it is imperative that good governance practices and internal controls are put in place as part of the culture of the organisation. Let me share with you an interesting experience my wife and I had while visiting a church in South Korea a few years back. Having heard much about pastor Cho Yonggi’s church with 700,000 members, we visited the church especially to see the sanctuary. A gentleman met us at the entrance and gladly showed us the sanctuary. In appreciation, we handed him a donation of USD100 to the church and were about to leave, not expecting any acknowledgement, as is the case in Singapore. To our surprise, we were asked to wait whilst the gentleman, who then introduced himself as a pastor of the church, brought us a receipt for the donation. I asked him whether this was the usual practice of the church for every donation, no matter how small. He said yes. This left an indelible mark in my mind. This practice, I came to realise is part of the culture of the church. Even when setting up SIAS in 1999 as a registered society; while there was no requirement to have audited financial statements, we proceeded to have our accounts audited by an external auditor to ensure that we uphold good governance practices. As SIAS was also commenting on the practices of listed company corporate governance, we wanted to practice what we preach. We put in place sub-committees to oversee Audit; we formed a Nomination Committee right from the beginning. This is to ensure that we have the right people on the Management Committee and not comprised of my friends and family; and we formed the Remuneration Committee to review performance annually and determine remuneration of senior management. Recently, we also appointed an Internal Auditor, and I am glad to say that we are working well with Shared Services to improve our governance and internal controls. It is a crucial role that the internal audit function plays in governance. All these we do in order to set high standards and we know that good governance is a journey, ever evolving and not a destination. The Institute then goes on to state that internal audit is a cornerstone of good corporate governance in organisations and plays an important role in providing the board of directors, audit committee, chief executive officer, senior executives and stakeholders with an independent view on whether an organisation has an effective risk and control environment, while acting as a catalyst for a strong risk and compliance culture. In my view, the key word in that last sentence is “culture’’. Although the Institute was referring to risk and compliance, we can all appreciate that the overall organisational culture is of crucial importance in determining success or failure; and it all starts with the “tone from the top”. It is the cornerstone of good governance. What exactly is this intangible thing known as culture? Google for example, consistently wins awards for being the technology company with the best corporate culture. Does this come from the company providing its staff with free meals and on-site amenities like dry cleaning and massages? I believe having the right culture goes far beyond providing such perks (even though they undoubtedly help!). One online dictionary defines corporate culture as “the pervasive values, beliefs and attitudes that characterize a company and guide its practices’’, another states it is “the underlying beliefs, assumptions, values and ways of interacting that contribute to the unique social and psychological environment of an organization’’. Corporate culture is, therefore, rooted in an organization’s goals, strategies, structure, and approaches to how it deals with its employees, customers, investors, and the greater community. In Google’s case, Forbes in February this year listed 13 reasons why Google deserves the “best company culture award’’, among them that employees are encouraged to be truly creative in a collaborative atmosphere that promotes innovation, that everyone shares the same values by wanting to grow and improve all the time, but perhaps most important of all, Google embraces the most important element of an employer-employee relationship: trust. Google’s willingness to trust their employees is what breeds creativity, above-and-beyond performance and job satisfaction. A culture which consistently places ethical considerations and client interests at the centre of business decisions helps protect employees as well as investors or donors, as the case is with charities, and preserves the integrity of the markets. Conversely, significant cultural failures can impose substantial harm on organisations, including fines, penalties, and loss of reputation and public confidence; and it all starts with the board. Another important area of governance is whistle blowing. While some may view it as “snitching,” others may view it as an action of bravery and stemming from a dedication to ethics. Currently, only large charities with gross annual receipts or a total expenditure of S$10 million or more are required to set in place a whistle-blowing policy. Such a policy, which must be disclosed in a charity’s annual report, is aimed at helping employees or outside parties make a report without the f ear of adverse consequences. As a matter of best practice for all charities, I would recommend that a whis tle blower policy with the necessary protection for the whistle blower be established. Notwithstanding, donors, members and employees of charities sho uld be prepared to blow the whistle if they come across misconduct. Now, knowing that the right culture can make or break an organisation, even charities, the next question to ask is – what role can internal audit play in its development? We must start by recognising that internal audit occupies a unique position within organisations. If it is to function effectively and assess whether internal controls are working as they should, it must sit in the heart of everything and work alongside other key teams such as central compliance departments so that it can develop the necessary strategies to mitigate risk. Often charities, especially the small ones, fail to appreciate the risk of theft, unauthorised expenditure and even criminal breach of trust, all because “it is done in the name of god”. At the same time though, internal auditors have to remain impartial and independent, so that their opinions are objectively determined and uncoloured by undue influence. These opinions are then communicated to the board of directors and top management, usually via the audit committee in order to provide assurances as to whether the organisation is running as it should, or if changes need to be made in order to avoid trouble ahead. It would not be too far off the mark to say that internal audit’s primary task is to act as the eyes and ears of the Board and to tell it like it really is, without fear or favour so as to ensure the charity stays on the right path. By extension and bearing in mind that internal auditors’ primary accountability is to the Board, who in turn are responsible for cultivating the right culture, this means that internal auditors should constantly remind themselves of a need to ensure the culture is strong, ethical and geared towards establishing trust with stakeholders from inside and outside their organisations. Apart from regularly assessing and analysing an organisation’s operational and financial framework, internal auditors should also do the same for its culture, values and ethical practices with a view of providing feedback to the board and management. By doing so, Board and management would be apprised on the health of the culture and the early warnings would enable them to quickly address the potential risks which might lie ahead. In other words if culture is a key contributor to performance, both positive and negative, it is important for auditors to constantly bear in mind the need to nurture the right culture, to incorporate consideration of culture in every audit project that is undertaken and perhaps even to figure out how to periodically perform an organisational culture audit. The problem of course, is that culture is intangible, complex and therefore is challenging to measure and quantify, let alone audit. It is not surprising to know that auditing culture has been an area viewed with hesitation by the industry. Culture can be so subjective that it can take auditors—who are processed oriented and seek objective measures—out of their comfort zone. However, just because a task is difficult, doesn’t mean it shouldn’t be done. There is growing awareness within the internal audit world of the importance of auditing culture – the UK’s Chartered Institute of Internal Auditors’ (CIIA) recently undertook a survey of Heads of Internal Audit across all sectors to understand the extent to which the profession is involved in auditing culture. The results showed that internal audit functions are taking responsibility for auditing culture, or have at least taken notice of the expectation for them to do so – of the 220 responses, 55% of internal audit functions are attempting to audit culture in one way or another. In its accompanying guidance note, the CIIA stated “Boards and senior management need to understand whether the culture they want for their organisation is actually the one that exists in practice’’. The message is therefore clear – the internal audit function should think seriously about incorporating auditing organisational culture into its daily tasks. I leave it to the professionals to do the research on how this can be accomplished, as there is plenty of fresh and growing research to tap – for example, one method which is said to be very effective in gauging culture is employee surveys that allow anonymity. Whatever the methods, the overall governance of any organisation, charities included, can only be strengthened if the Board and its operational eyes and ears, ie. the internal audit function, bears in mind the need to establish and foster the right culture in everything it does. In Singapore our charity sector is diverse. There are over 2200 registered charities and a large proportion, 46.2% of the registered charities, are relatively small with annual receipts (which included donations, government grants, fees and charges for services rendered) of less than $250,000. It is the smaller charities that need help. As a sector, we are only as strong as our weakest link. I, therefore, call on SSC to reach out to more small charities to educate them on the importance of governance, risks and internal audit, and help them improve their level of governance and compliance, especially in some of the religious organisations. By the way, religious organisations account for the largest segment of all donations collected in Singapore. Strengthening these organisations will go a long way in building trust in all charities. Thank you and I wish you all an enjoyable day.